There was a young boy who once grew up just like you and me. He came from a household where mom was the go to person for all the family's nutritional needs. She did the grocery shopping. She made the daily menu. She packed the lunches. She even did the final preparation and cooking of the evening meal that found it's way onto everyone's dinner plate each night. Mark Bittman was this little boy and he's now a grown man with a very inspiring message. He grew up on the All-American diet of a large helping of meat, mashed potatoes, and fruit salad that originated out of a can just like you and I did. He never tried a bite of spinach or broccoli until he was 19. He also never learned how to cook from his mother. You'd think that he'd have fallen into a life of fast food, microwave dinners, and Chinese take out but nothing could be further from the truth. 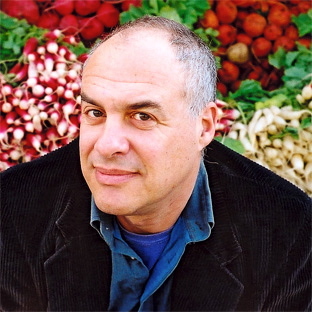 Mark Bittman turned into one of the greatest food writers ever known to man. He's not a vegan or even a vegetarian but what he is is a man who's aware of what he eats. He understands the consequences and the benefits of the different foods that end up on his plate. He's an avid cook, a journalist, and a best selling author. He's written about every kind of food known to mankind and shared his insights on how to cook these foods as well. His latest work is the book Food Matters where he provides insights on how our food choices affect an array of global and economic issues including the current healthcare crisis, global warming, and the link between special interest groups and government policies on food and nutrition. He was asked to speak at the 2007 TED convention and happily accepted. Fortunately for you and I his brilliance and talents are showcased in the video below for our educational enjoyment. The only thing left to do now is to let a smile creep across your face as you watch, learn, and live the convictions of his speech.